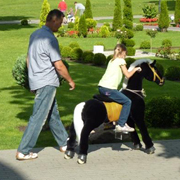 Animal Riders are a mechanical animal that can be ridden around on a flat surface with the ability to turn, they are interactive and a challenge for your coordination skills. 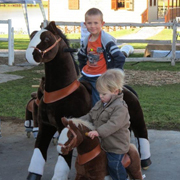 Instead of keeping the rider in one spot, Animal Riders allows your child to ride wherever they want, making them feel just like they are on a real animal! With the Animal riders you can hire 1, all 8 or anywhere in-between. 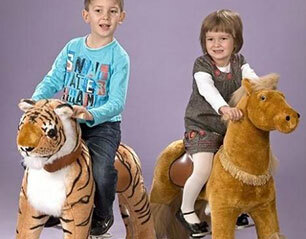 Animal riders are suitable for ages 2 to 13 and weights up to 60kg on the Large Animal Riders. Best operation area is 15.5m x 9m with a minimum of 10 metre x 5 metre hard surface flat area is required for operations.